Sproat bend. Down-eye. Standard wire. 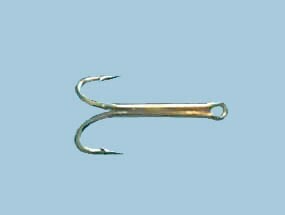 Triple finish: bronze/nickel.Uses: Wet flies.25 per packet. Sproat bend. Down-eye. Standard wire. Triple finish: bronze/nickel. Uses: Wet flies. 25 per packet.